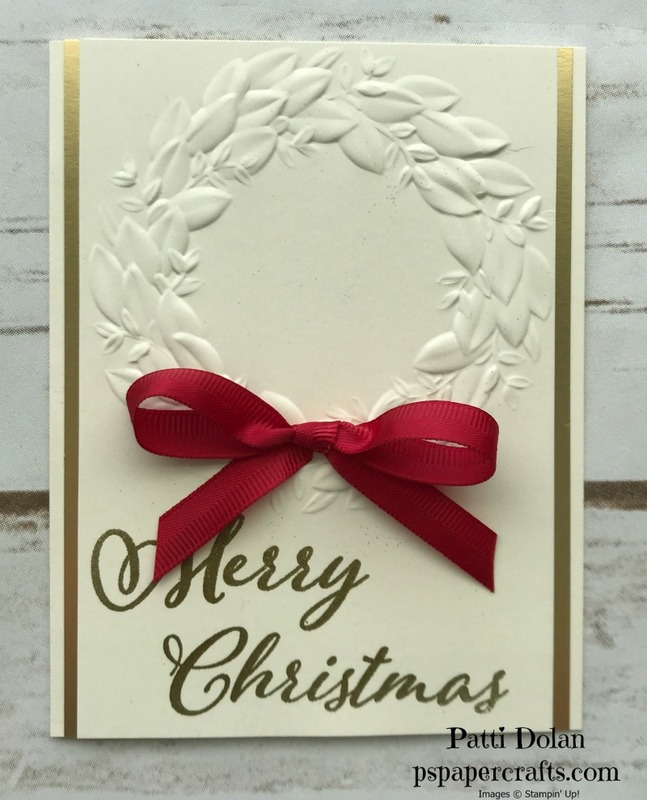 Here’s another card using the Seasonal Wreath Embossing Folder. This is very different from yesterday’s card. 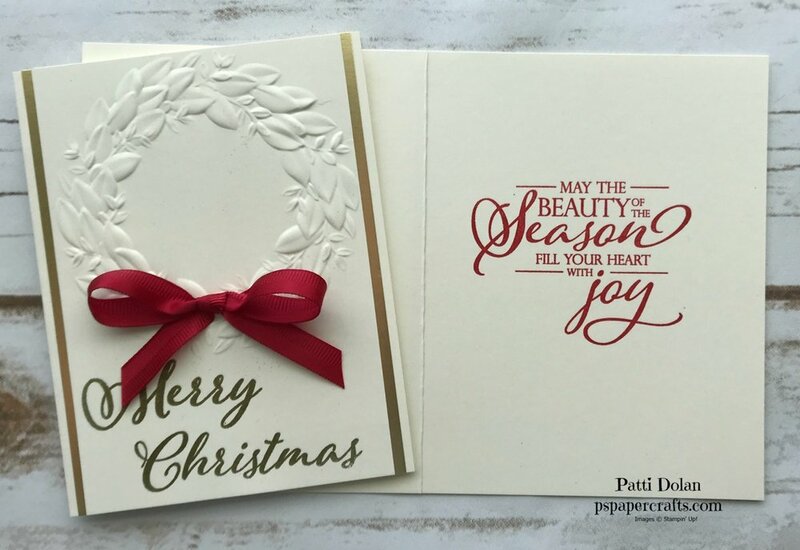 This is more elegant with the Gold Foil Paper peaking behind the top layer and the gold embossed sentiment. The Very Vanilla card base is a standard A2 card (8 1/2 x 5 1/2, scored at 4 1/4). There’s a layer of Gold Foil Paper that’s 5 1/2 x 4 and then a layer of Very Vanilla that’s 5 1/2 x 3 3/4. 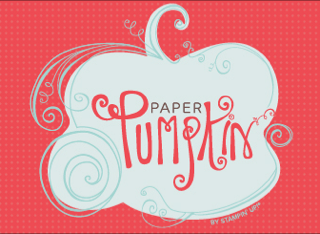 I used the Seasonal Wreath Embossing folder to get that beautiful wreath. It’s pretty tight but it fits the 3 3/4 width. I placed it at the top to leave room for the sentiment. A simple bow made with Real Red Mixed Satin Ribbon adds just the right touch. You can add red or gold (or both) gems around the wreath if you want. The sentiment on the inside is one of my favorites. It’s also from the Merry Christmas To All and was stamped in Real Red Ink.